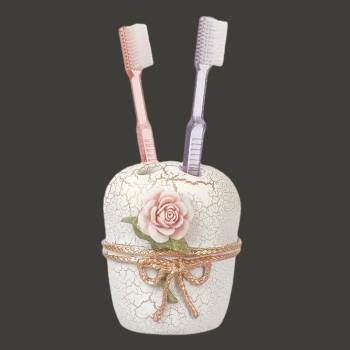 Features the finest porcelain & resin construction? 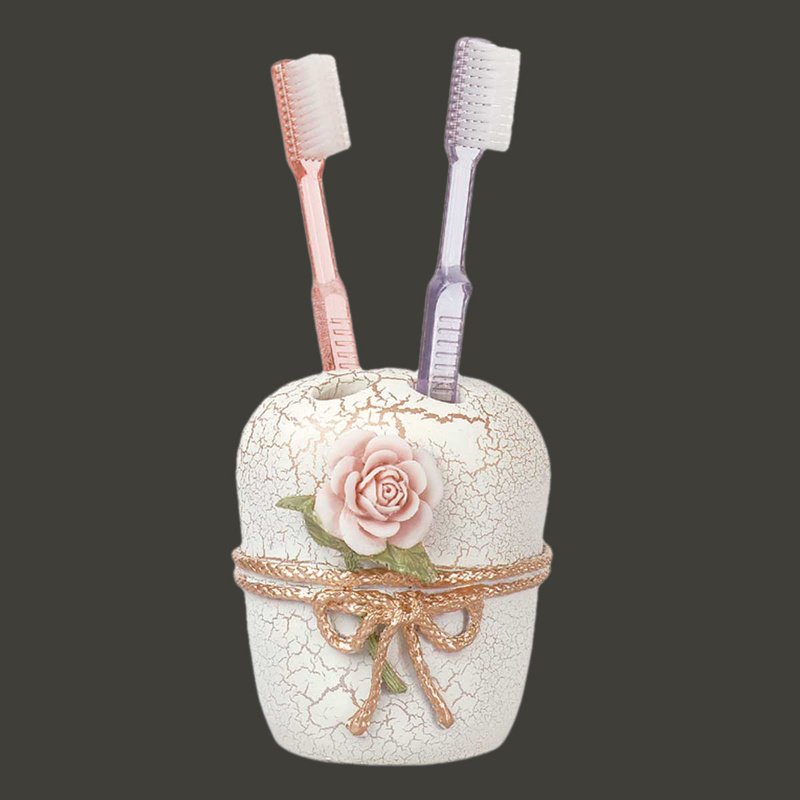 Has a beautiful floral design? 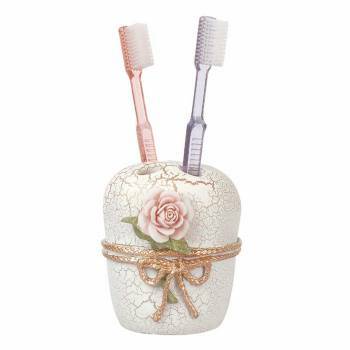 Ceramic Toothbrush Holder. 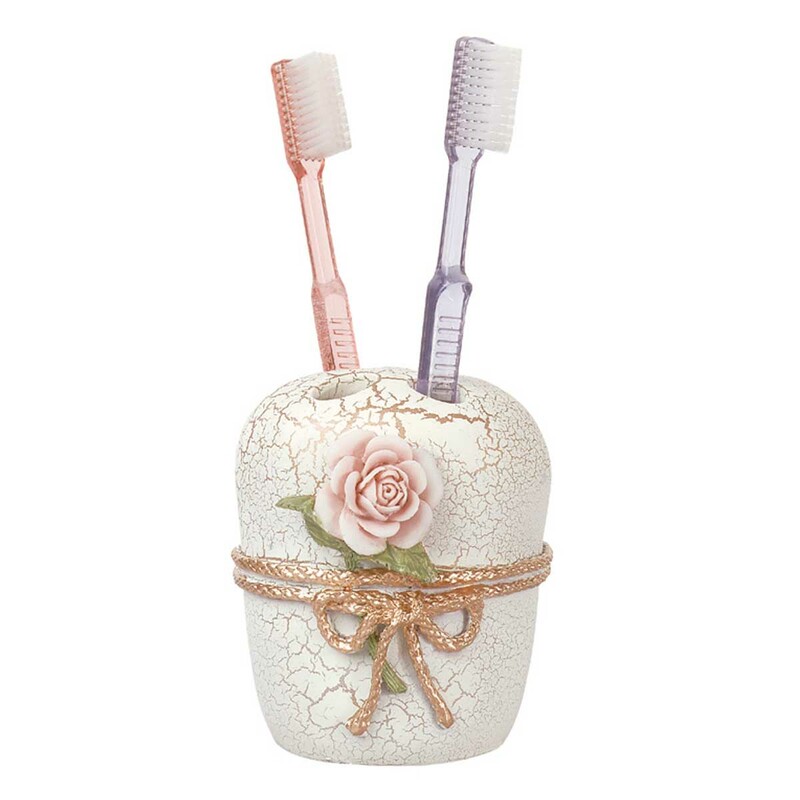 Porcelain, ceramic and resin in beige, gold & pink, with crackle finish. Measures 6 1/2 in. high.